Dealing with the loss of a loved one takes a lot out of everyone. It’s why Sunset View Cemetery & Mortuary is here – to help hurting families in El Cerrito and surrounding areas in Contra Costa and Alameda counties plan funeral services, giving them the time they need to grieve their loss. Experts also agree that the very act of planning a meaningful funeral service, with all of its personalized touches, can help one cope with grief. Grieving is an important part of the healing process that helps us all cope with our loss and move on in our lives without that special person we love. But for men, sometimes the grief can become internalized, and they may not feel like outwardly expressing their sorrow. 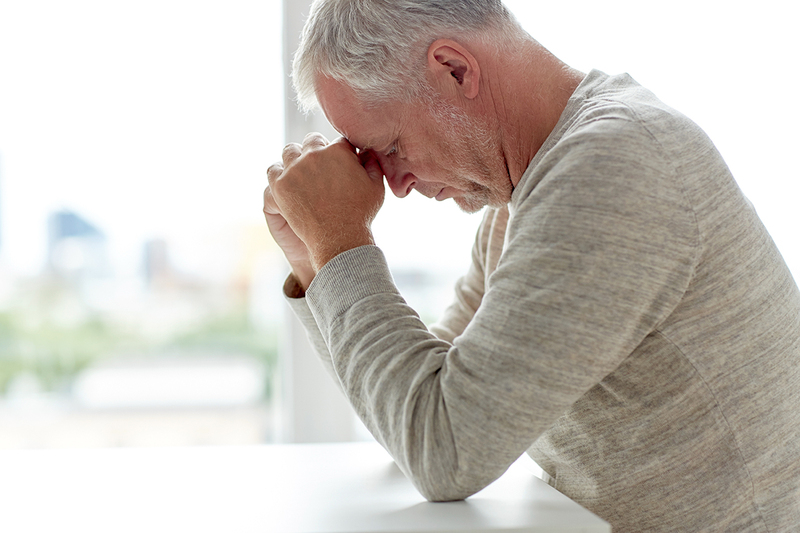 If you are a man who is grieving, or if you are seeking help for a friend, Sunset View Cemetery suggests these four steps to help men deal with grief in a healthy way. Elements of grieving can include crying, sorrow, or the expression of other emotions (like anger or depression). Acknowledging that need to grieve is the first step. The common theme among these is an attempt to hide the grief from others. Unfortunately, the more a man hides his grief, the more likely it is that it will surface as irritability or hostility toward others. Are you getting angry easily? Are you pulling back from others? Is your family suffering together through the loss, or do you feel like you’re trying to be there for everyone, and no one is there for you? If you are having trouble expressing your grief with friends or family, it might be a good idea to seek out a grief support group. If group therapy seems overwhelming, it is important that men open a dialogue about their emotions with someone they trust. Whether you choose to confide in a friend or a support group, seeking comfort and support from others is the third step toward grieving positively. This time should not include other activities. It’s not that grieving for eight hours a day during work or while you read the morning paper is required; rather, you have a specified amount of time each day or every other day to contemplate your grief. Some people choose prayer, meditation, or even flipping through pictures. Remember, grief is something we must all deal with at some point in our lives and processes their grief in their own way. If it’s not addressed, grief can permeate every aspect of your life and harm relationships with other loved ones. In terms of masculinity, it is far more courageous to open up to others and allow them to help you deal with your grief than it is to turn inward or toward addiction in order to cope. Our caring staff at Sunset View Cemetery & Mortuary are here for you long after the funeral ends.